क्या आप जानते हैं ? DO YOU KNOW? 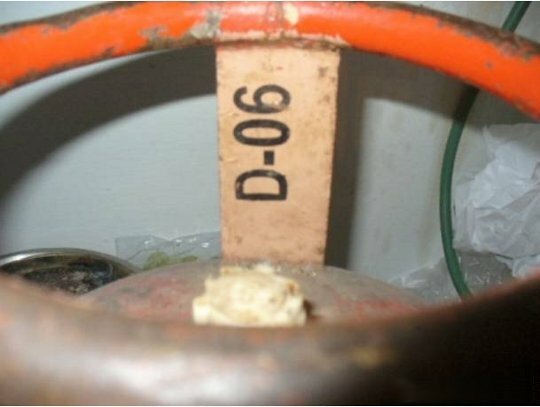 : Did you know that there is an expiry date (physical life) for LPG cylinders? D for December (Fourth Qtr). The digits stand for the year till it is valid. Hence D-06 would mean December quarter of 2006. If you get a cylinder post expiry date, please return it back immediately, they are highly prone to leaking or bursting causing serious injuries and can even take life. Although finding the expiry date is not hard at all if you know the trick, an average common man would almost never be able to decipher it. I wonder how difficult it is for the LPG companies to write something like "exp: Dec-2006" instead of such an alien code. Or may be they too want to conceal it?